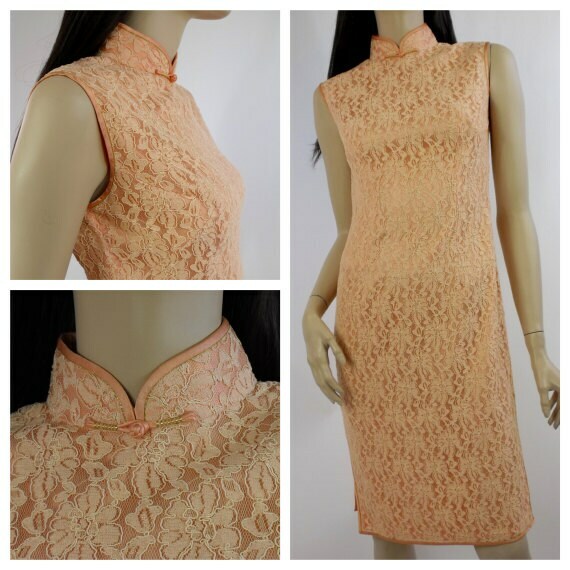 Decadent peach Chinese Cheongsam dress circa 1970's is in excellent vintage condition. 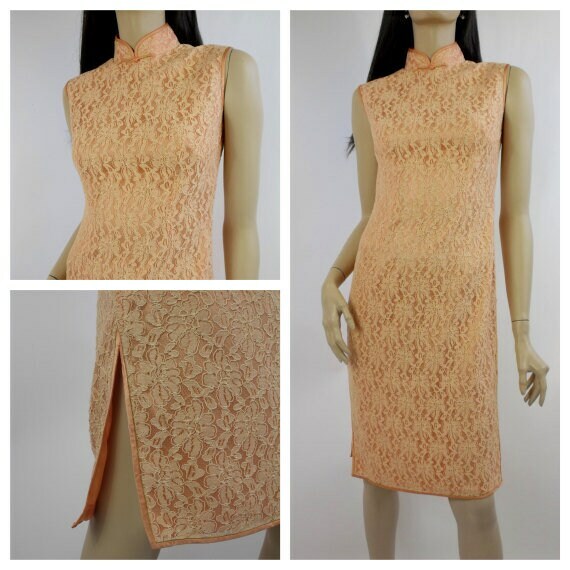 This incredible dress has been extremely well made and well cared for over the years. 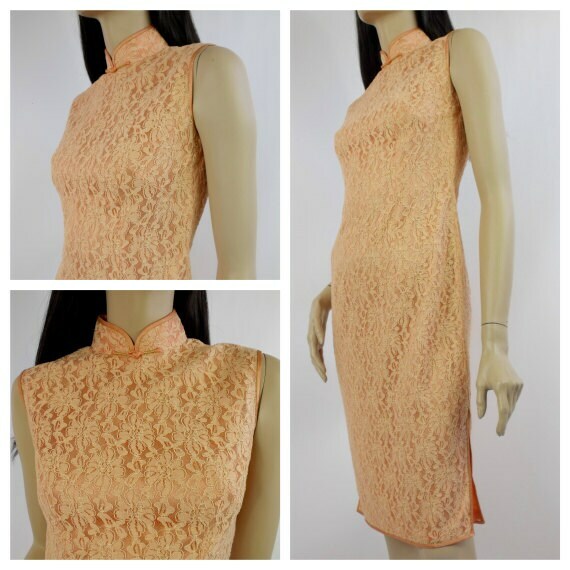 This beauty is perfect for your next party and is ready to wear. 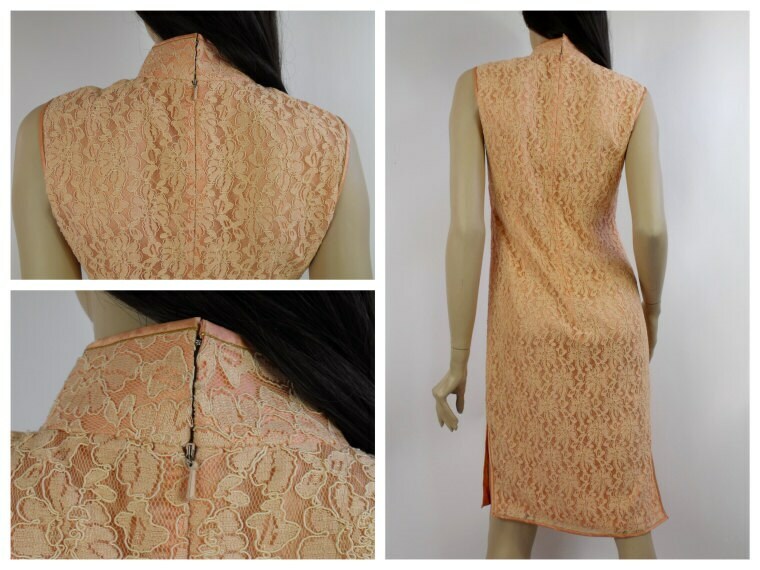 ✦ BACK LENGTH (nape to hem): 40.5"
✦ LENGTH OF SIDE SLITS: 8"